We have large capacity for Hard Crome plating. With Six meter deep tank of Hard Crome, we are pioneer in for the Hard Croming long length job in INDIA. We also have Six meter Grinding & Turning Capacity, which make to manufactre the Completer Hard Crome Plated shaft. Scrapper Brackets will be provided separately too. 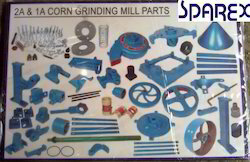 We are highly acclaimed in this industry for providing an optimum quality range of Grinding Mill Spare Parts. Owing to a long-term destination for our business, we are engaged in offering a wide gamut of Centreless Grinded Rods, Pins & Bushes. The offered grinded components are manufactured using supreme grade material and contemporary tools under the surveillance of trained professionals. Since our establishment, we have been involved in offering a wide range of Cylindrical Hard Grinding Parts. These hard grinding parts are manufactured using quality tested raw materials and innovative techniques by skilled professionals. Offered hard grinding parts are equipped in various industrial machines and automobiles. The Shaft Inner Coreoffered by us is highly demanded by our clients. This Shaft Inner Core we are offering are quality assured and are manufactured using the best grade material. We are offering these products at industry leading price. 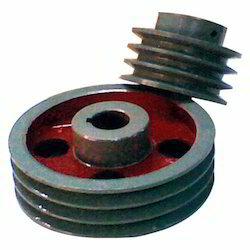 With our vast experience knowledge in this field, we are engaged in providing a quality-assured range of Grinding Parts.